Lake Trout fishing is good straight out and North of the harbor. Try clean spoons off the downriggers, and flashers or dodgers with flys or spin and glows close to the bottom. Fish 20 foot down to the bottom for best results. Best colors have been purple, green, blue, and white. 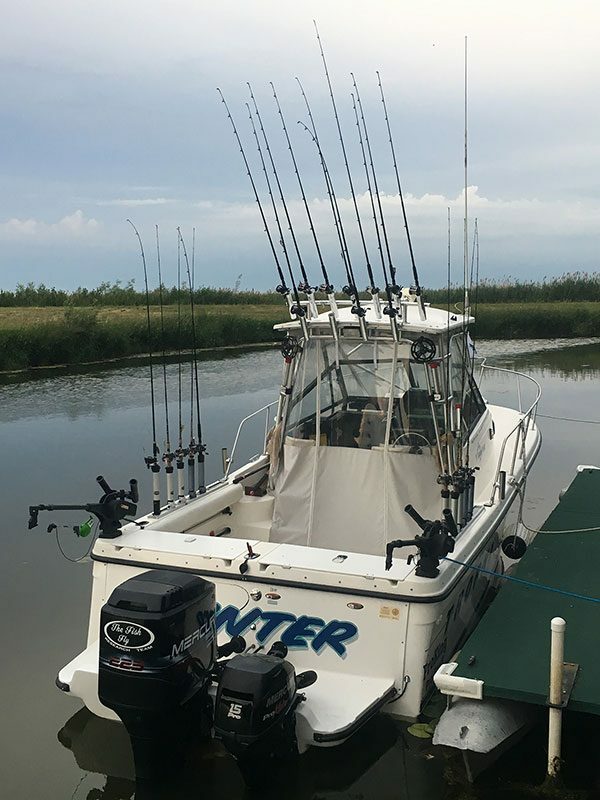 Start fishing in 60 feet of water and work your way out to the deeper water. Some salmon continue to be taken South, straight out and North of the harbor. For best results, fish clean spoons off the downriggers 30 to 60 feet down. Good colors have been silver, blue, green and black. Also try some flashers with flys off the dowriggers or dipsey divers as well. Start in 45 feet of water and work out till you find where they are setting. Steelhead fishing is slow but should continue to pick up. Put out some long lines with the Offshore boards, try clean spoons, and body baits. Best colors have been bright orange, pinks, greens and yellows. Try some 2, 5, and 8 color lead lines as well. Brown Trout have been being taken in close to shore working the 25 to 45 foot of water areas South and North of the harbor. Body baits and clean spoons should work, try perch, green, and blue colors. 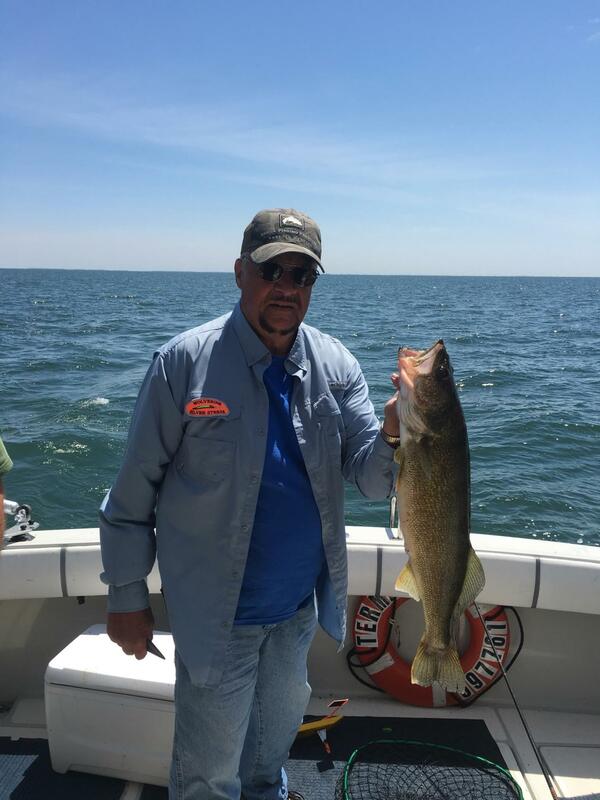 If you want to try for some walleye try North of the harbor working in close to shore, 25 to 40 feet of water. That about covers it for now, good luck and keep those lines tight!